In an effort to keep classes affordable, we are requesting that you purchase all supplies and materials from Marietta’s Quilt & Sew. We do ask however that you check with us prior to purchasing to ensure the class has made. 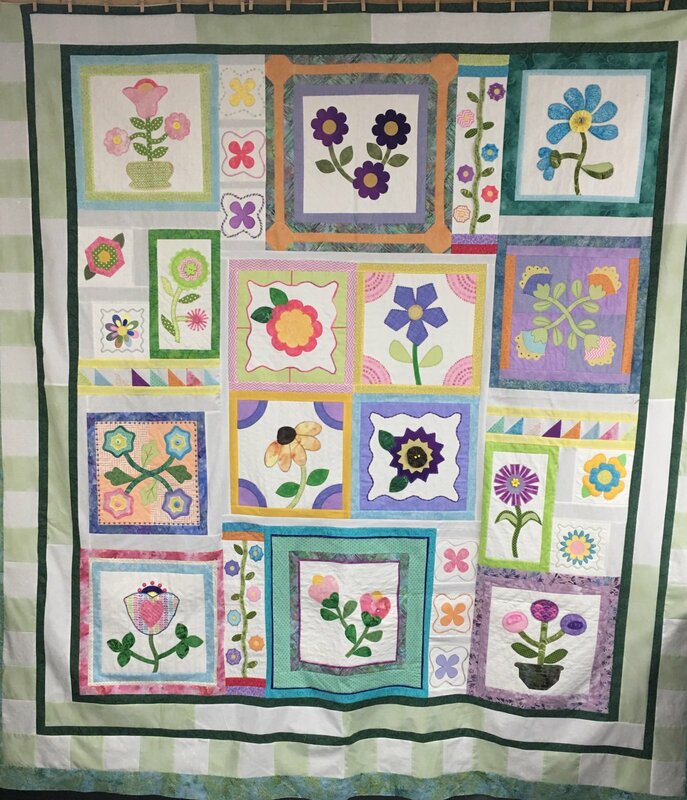 On this BOM quilt you will use the decorative stitches in your sewing machine and some of the accessory feet that came with your machine plus SEW much more!!!!!!! Any machine with decorative stitches can come to this class. * RUFFLER foot is being featured to create three flowers. At our first session we will talk about supplies needed and fabric. The pattern will be handed out per session as needed for each block. There WILL be homework and supply shopping throughout the weeks of working on the quilt. Your favorite sewing supplies to include threads to go with your theme, scissors, pins, needles, wonder clips, etc.